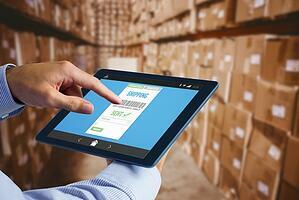 Warehouse Management Technology: Can You Manage with an iPad? Most people view an iPad as sleek and powerful compared to the traditional RF guns that are ubiquitous in many warehouses. When you add better graphics, ease-of-use and lower price points to the mix, it’s no wonder that warehouse management teams have been eyeing them as a platform to which they should consider migrating. Before you pull the trigger on such a decision, consider the advantages and disadvantages of using the iPad in the warehouse. iPads generally have more powerful processors than traditional RF guns, and they run on iOS which is a much more modern operating system than Windows Embedded Handheld 6.5. Newer iPads utilize the latest Wi-Fi standards, so communication is quicker if you have compatible networking equipment in your warehouse. As a result, the user experience is usually better since applications generally run faster and are more responsive. This can translate into greater productivity as warehouse tasks are accomplished faster. The larger screens on iPads allow for more information to be displayed. Higher resolution means that text is crisp and easy to read. Thanks to smartphones, pretty much everyone knows how to use an iPad at this point, so learning curves can be shorter. While using an iPad seems like a no-brainer, your warehouse management software may not have an application that can run on it. For your WMS vendor, developing the application is just a start. In order to distribute it, the application has to go through a review and approval process by Apple. 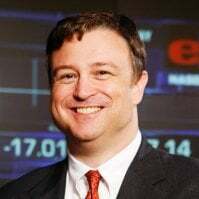 If you want a modification that only you would use and isn’t generally applicable to other customers, it is going to be very difficult to do this. One of the appeals of iPads is that iOS is updated regularly, but this also has a downside as well. Eventually, applications may no longer work unless they are updated to be compatible with newer versions of iOS. The frequent updates also mean that hardware tends to become inadequate faster, so replacement cycles are faster. It’s easy to compare the cost of an iPad to an RF gun and think that the iPad is cheaper. Keep in mind that iPads are not rugged devices that were designed for industrial settings. They will get damaged more frequently, so you may go through several of them in the amount of time that you could continue to use an RF gun. You also need to factor in accessories. While the iPad camera can be used as a barcode scanner, you are more likely going to use a Bluetooth scanner with it. A rugged Bluetooth scanner can substantially add to the cost of the total solution and make it more comparable to an integrated RF device. You will want to purchase a hefty case to house your devices to prevent extensive damage in the warehouse as well. Under certain circumstances, an iPad can be a cost-effective way to boost productivity and leverage more advanced technology. There are potential downsides though, and these should be carefully evaluated when you are deciding whether to move to this platform.